How Will K-pop React to the Fine Brothers and React World? YouTubers the Fine Brothers lit up the Internet recently when they released plans to trademark and license their popular REACT series on YouTube. Legally, the trademarks would have given Fine Brothers Entertainment authority to limit all other creators and their content, potentially impacting existing content such as the K-pop MV reaction videos and other such content popular among K-pop fans. Despite their stated intentions to make the content more standardized and available for other vloggers, the move caused widespread reaction and raised concerns over the nature of Internet content and digital ownership. The Fine Brothers, or TheFineBros, are popular YouTube vloggers with more than 13 million subscribers and nearly 4 billion views since joining the platform in 2007. Their more popular series include the REACT videos, SPOILERS, and Last Moments of Relationships, though they are probably best known for the REACT series which includes Kids, Parents, Teens, and YouTubers, among others. The videos follow a standard format: a particular group of viewers are shown something from popular culture, and are then asked questions about what they saw while being informed of its significance – for example, “Kids REACT to Adele“. 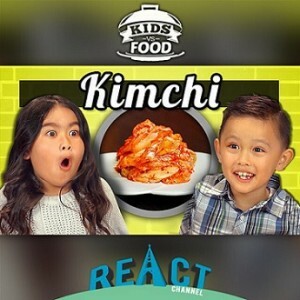 The series has also covered K-pop, with “YouTubers REACT to K-pop” and recently with “Teens REACT to Psy’s ‘Daddy’”. 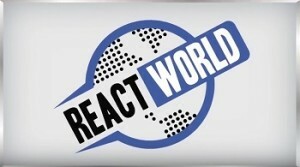 As the popularity of their REACT videos grew, so too did the popularity of the “reaction” genre on YouTube and beyond. Periodically TheFineBros publically addressed instances where they felt they were being copied, as when The Ellen DeGeneres Show featured kids reacting to outdated technology or BuzzFeed recorded teenagers watching 90s music videos. Presumably, these instances hit a little too close for comfort, and in July, 2015 they filed trademark applications with the US Patent and Trademark Office for 11 of their series, including all REACT iterations. At the end of January, TheFineBros revealed their move to trademark and outlined plans for a licensing program called React World, through which other YouTube creators could create their own REACT content based on a Fine Brothers sanctioned standardized format going forward. And so the Internet revolted. In a nutshell, TheFineBros claimed that they were building a system which would allow other creators to put out their own REACT content and that the trademarks would protect the formatting of the videos. In reality, TheFineBros had filed trademarks for the word “React”, (additionally “Kids React”, “Adults React” and “YouTubers React”) and not for the formatting – legally, the trademarks granted them far greater authority to restrict other creators’ content beyond just the format, whereas the format could have been adequately protected under a copyright. Which means that despite TheFineBros claiming they just wanted to standardize the content, they would actually have the legal authority to have other reaction content stopped and removed. And for K-pop fans it could have put an end to popular content such as K-pop MV reaction videos, and non K-pop fans’ reaction videos among many others. In recent years, K-pop reaction videos have become an established part of the K-pop fandom. There is a great variety of reaction content, including non-Korean fans reacting, Korean fans reacting, non-fans reacting and even idols reacting to reaction videos, and the vast majority of this content lives on YouTube. While videos of non-fans’ reactions can quickly become repetitive and grating, videos by fans are a compelling addition to the K-fandom experience. They often provide fans with a forum to share their thoughts, and an opportunity to better understand the music or culture through the videos. Fan-made MV reaction videos can rack up hundreds of thousands of views each, and three of the more popular vloggers – JREMKL, KSpazzing and 2MinJinkJongKey – boast more than 600,000 subscribers and 120 million views between them. The videos aren’t just popular with fans – at the end of the Las Vegas show of their MADE 2015 tour, Big Bang member Taeyang recognized JRE of JREMKL in the greeting line, and announced to the crowd that he is famous on YouTube. Beyond K-pop MV reaction videos, other reaction-based videos relating to Korean culture include the Korean Englishman’s popular series introducing Korean snacks, candy, drinks and ramyun to non-Koreans, and the Food Adventure Program For Awesome People series by Simon and Martina (formerly Eat Your Kimchi), where they try unusual snacks and dishes during their time in South Korea. Ultimately, the outrage over TheFineBros React World forced them to withdraw all their trademark applications, and shut down their licensing plans. In their retraction they acknowledged the vast authority that the trademarks would have given them and the threat it posed to other YouTube creators and their content. In the days following their announcement, TheFineBros lost thousands of subscribers (nearly 500,000 at the time this post was published). Other YouTube vloggers also weighed in, some with their own reaction videos and other with satire, but none of it positive. As more information was released that two trademarks for “Elders React” and “Teens React” had already been granted, vloggers reported receiving Cease & Desist orders for similar content prompting prominent entertainment lawyer Ryan Morrison to offer his services pro bono to affected YouTubers. The discussion surrounding the incident is far from over, however. In addition to the threat to other creators, the move by TheFineBros raised serious concerns over ownership on the Internet – by trademarking REACT, TheFineBros would have been recognized, legally, as owning all reaction content as an extension of their REACT brand. Effectively, they could have claimed ownership over an entire genre of Internet content which is unimaginable given the collaborative nature of Internet culture and digital participation. While TheFineBros chose to backtrack in this incident, there are likely to be more such battles in the future as digital content creators seek to protect their assets through legal measures that are out of step with the digital economy. What are your thoughts on TheFineBros React World idea? Signal, Episodes 3-6: Where Are We Going?